The innovative Vector V104 GPS Compass provides top of-the-line seamless navigation; with exact heading and position functionalities. The innovative Vector V104 GPS Compass provides top of-the-line seamless navigation; with exact heading and position functionalities. The V104 operates on SBAS (WAAS, EGNOS, MSAS, etc.) 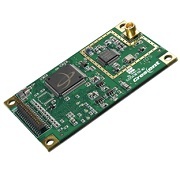 offering dual-frequency capabilities for greater GPS service positioning. Its high performance aptitude and affective heading and positioning proves that its of the leaders in the smart antenna industry. The Vector V104 is one of the most affordable multi-constellation operations system available in todays market. With an air tight seal and an unnoticeable appearance, the Hemisphere GNSS Crescent¨ combines Vector technology which is perfect for all types of aircrafts and also possess all certified equipment for the two multipath resistant antennas. This smart antenna provides greater precision, transferability and a seamless set up. This must-have smart antenna is approximately half a meter long and easily mounts to any level area. 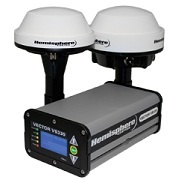 The superior technology of the V104 comes enclosed in a secure and hassle-free design, making any traditional GPS systems, using direction oriented navigation, inadequate up against the position and heading capabilities of this system. The Vector V104 GPS Compass is reasonably priced and offers superior advantages over the blend of low-accuracy GPS and fluxgate compass. The Vector V104 GPS Compass can be ordered through Blue Planet Geomatics. Please feel free to send us your inquiry using the request pricing form if you would like to know more about this smart antenna.